Made of golden grass. Explicitly woven, has a smart look.The stem is golden, hence the name golden g..
Sabai grass and Fresh jute threads are entwined and woven into this sinduk box.In olden days, these .. 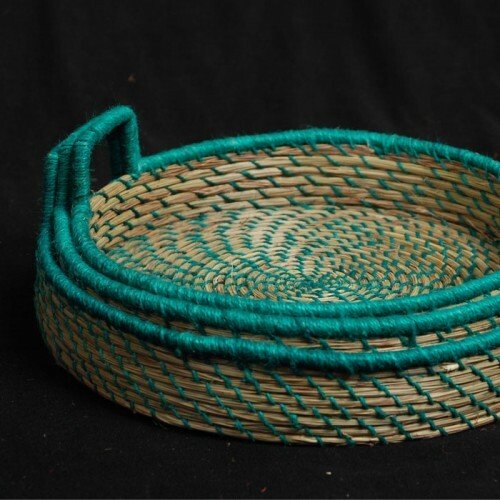 This product made with dried ropes of sabai grass is woven by folks of Odisha with fine techniques of hand crafting, which gives an attractive look to it. 9" x 2 " small tray. Colour : Blue, yellow, pink, violet.